nax425 wrote: Section 4. Not terribly excited about the professors based on what i've heard...What exactly are we expected to know on our first day other than the reading? Reading?? Where was this reading listed at? "I haven't printed out and read everything yet"
When or where do we find out about textbooks and all that jazz? This may be a silly question, but what is the best method to lug around these law school text books? I have heard horror stories on the size of law school text books, and just wondering what's feasible! Edit: Is it normal to have a backpack? Last edited by starrydecisus on Fri Jul 02, 2010 12:05 pm, edited 1 time in total. P.S.--You'll have "Coursepacks" for some of your classes (for §3, pretty much all of them) to go along with your textbooks (or, on occasion, in place of textbooks). You'll receive instructions on how to download them. If you only use the downloaded version, it's free... but if you want a printed version, you can order them online or through the bookstore and have 'em shipped to you. I highly recommend ordering a print copy. As much as I love saving trees, it's just really inconvenient, and printing on your own will burn up many a print cartridge. It's cheaper to order the printed version--plus it comes bound, which is easier than having nine million single-sided pages to holepunch and stuff in a giant binder. And the same goes for cases. When you're doing research for LRW, many of you--like me--might want to avoid printing the cases (especially those of you who live off-campus and like to study/work at home rather than in a library). There's a reason Lexis and Westlaw printers are free: 'cause you really need the cases in print so you can mark 'em up and organize them in a way that makes both your research and your writing easier. You can even print to the free Lexis and Westlas printers from home (wherever home is), then simply drop by the library to pick up your printouts. If you do so, make sure to make a note of which cases you print, 'cause sometimes a case or two may get mixed in with someone else's printing, and due to the insanely tangential nature of legal research (you link from one case to a second case then to a third case from there, etc. ), it's easy to find a hidden gem once, almost on accident, that you could have a very tough time finding again without the case name/citation. starrydecisus wrote: This may be a silly question, but what is the best method to lug around these law school text books? I have heard horror stories on the size of law school text books, and just wondering what's feasible! Backpacks or tote bags, basically. Friends who lived in Gewirz would basically only bring the books they needed from their rooms (there's a ten minute break between classes, so you could run back to your room if ya want, 'though most of 'em would bring any consecutive classes' books with them to their first classes of the day). I usually drove to campus (but I was one of very few who did that) so I never used my locker. I brought all my books for the day in my car, and threw any consecutive classes worth of books into my tote bag, switching out as needed. Other off-campus folks would just suffer through the metro ride with a monster tote bag or giant backpack to and from campus, then toss anything they could into their lockers. new email! makes me happy. Welcome from the Dean of Students! Section 2! Took a while but I finally got it. Last edited by xcountryjunkie on Fri Jul 02, 2010 7:26 pm, edited 1 time in total. volsi wrote: I really appreciate all the thanks for the spreadsheet. You guys make a girl feel loved. I didn't say it yet (because I meant to when I wasn't logged in and then the internet explorer crashed - oh Microsoft), but thank you for putting together that spreadsheet. It is rather cool. The past couple days (which included my 21st on the 30th) have been amazing up here in New York, am I right, New Yorkers? I'm thinking of getting a nice messenger bag and taking full advantage of my locker. If these studios work out, I'll be coming from L'Enfant Plaza, which isn't too bad. I tend to destroy tote bags. I'm also thinking of getting a Neo Alphasmart for class, so I can't get distracted by facebook or solitaire or anything like that. Topher - you're welcome! And the last few days have been gorgeous. I just got home from the beach. I'm afraid I'm going to be known as the spreadsheet girl, though. volsi wrote: I'm thinking of getting a nice messenger bag and taking full advantage of my locker. If these studios work out, I'll be coming from L'Enfant Plaza, which isn't too bad. I tend to destroy tote bags. 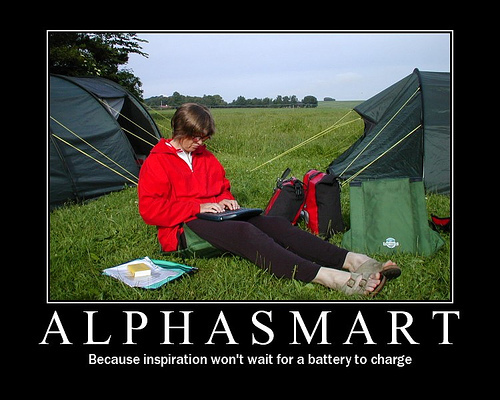 No, you lost that chance when you mentioned you want a Neo Alphasmart (I googled it). I should ask, are they common? If I used this I would just resort to using my phone for everything else. Last edited by Unitas on Fri Jul 02, 2010 5:25 pm, edited 1 time in total. Did Starrydecisus put up those pics from her GULC visit yet? Could someone please post the section 1 schedule? I just got my section assignment, but its not on MyAccess or the admitted students page, and I'm on my phone, so its tough to search the forums. I'm really excited to see my schedule, and I'd be even more excited for the fall if a future section- mate could help me out. So I have a question about tuition/financial aid. Tuition is due July 26. I am new to the whole financial aid thing. Do our federal loans get disbursed before July 26? Do I need to do anything. Cube wrote: Did Starrydecisus put up those pics from her GULC visit yet? Sorry, the past few days have been crazy with work, etc. But they're getting put up, I swear!!! This made me lol. That picture is so hilarious!!!!! WhyBother? wrote: Could someone please post the section 1 schedule? I just got my section assignment, but its not on MyAccess or the admitted students page, and I'm on my phone, so its tough to search the forums. I'm really excited to see my schedule, and I'd be even more excited for the fall if a future section- mate could help me out. Sent you a PM, but it probably won't be that helpful. It didn't look right, but I don't want to spend 40 minutes redoing it. starrydecisus wrote: This made me lol. That picture is so hilarious!!!!! So did I, I just hope Volsi sees the humor in it. I don't know how you plan on doing pictures, but facebook may not be your best bet. I wouldn't put my facebook link on TLS if I were you. If you wanted to PM it to members you know that'd make some sense (then again I don't think I've seen you post out of this thread ever). Maybe use a photo sharing site? apples wrote: So I have a question about tuition/financial aid. Tuition is due July 26. I am new to the whole financial aid thing. Do our federal loans get disbursed before July 26? Do I need to do anything. No they won't get disbursed that early. Federal law prohibits them from being disbursed any earlier than 10 days before the start of class. They will however take into account the fact that you will be getting those loans. In other words you don't have to come up with 20k of your own money while you wait for loans to disburse. I was gonna suggest making a facebook page for gewirz, is that allowed?? Well, if she is worried about people finding out her Facebook url then she shouldn't make a page, cause it will have a link to her profile. I meant make a facebook profile for Gewirz. Would that link to her profile? "I don't know much about facebook. I don't really socialize on it. I play some of the games and that is it." Hahah, I love it! Thankfully, I own neither Birkenstocks nor anoraks and can escape being that girl. I hope. They do last for 700 hours on 3 AA batteries, which is pretty cool. My problem with the alphasmart is I have three computers already - my desktop that I've had, the Macbook Pro I got because the school requires a laptop, a netbook I used for writing (it isn't good for anything else). All of these go online, however, and though I am not lugging my iMac to class, I'm worried that provided a source of distraction, I'd pay less attention than I want. With an Alphasmart, I can type notes or I can sit there. So I may as well type notes. I may have to compensate for how dorky it looks by dressing up.